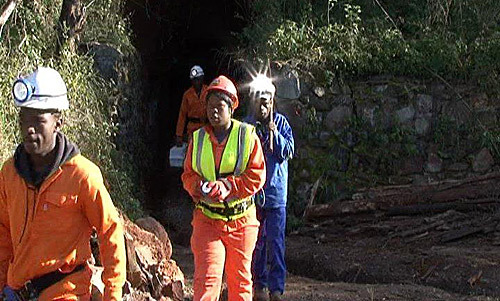 (i) to expand opportunities for historically disadvantaged South Africans (“HDSA’s”) to enter the mineral industry and obtain benefits from the exploitation of mineral resources; and (ii) to promote employment, social and economic welfare as well as ecologically sustainable development. In order to convert an Old Order mining right to a New Order mining right the holder is compelled to lodge a social and labour plan and an undertaking on how it is intended to expand opportunities for historically disadvantaged persons to enter the mineral industry. The MPRD Act (incorporating the Mining Charter) also requires that a mining company must have ownership by HDSA's at a level of 15% by 30 April 2009 and 26% by 30 April 2014 for conversion to take place. The transfer of such ownership must be at fair market value. To meet the ownership requirement for HDSA’s, Vantage partnered with Lomshiyo Investments (Proprietary) Limited ("Lomshiyo") in February 2006, facilitating the acquisition by Lomshiyo of 26% of the ordinary share capital of EGL (a Subsidiary of Vantage). Lomshiyo is a South African incorporated company whose shareholders are comprised of HDSAs, including a number of Vantage mine workers. The purchase of Lomshiyo’s shares in EGL was at market value and funded by way of a loan from EGSA, which is a common method of enabling HDSA’s to acquire interests in Mineral Rights. Lomshiyo’s shareholders granted a pledge in favour of the Group over their shares in Lomshiyo as security for this loan. The Group has to date granted to Lomshiyo a 26% indirect interest in each of EGE (Sheba Hills Project), Centurion (Bonanza Project) and Barbrook Mines (Pty) Limited (Barbrook Project). The Group has also granted to Lomshiyo a 15% indirect interest in MIMCO (Lily Project). The Group has until May 2014 to grant a further 11% interest in MIMCO to a BEE group in order to continue to comply with the BEE regime under the MPRD Act. The grant of this further 11% interest in MIMCO is likely to be structured in a similar manner to the Group’s existing grant of interests in its other Projects to Lomshiyo.